Go Curbless with ARC, Inc. Please join us at Conestoga Tile in Harrisburg, PA for a learning event with hands-on opportunities. Master Tiler, Matt Blood, from ARC, Inc.. will lead an informative training session for ARC’s TrueDEK® shower system. This training is open to installers, designers, retailers and anyone who wants to learn more about the benefits of the ARC curbless shower system and how to install it. You will learn how to increase your business and offer products that builders and homeowners want. Please join us at Conestoga Tile in Sterling, VA for a learning event with hands-on opportunities. Master Tiler, Matt Blood, from ARC, Inc.. will lead an informative training session for ARC’s TrueDEK® shower system. This training is open to installers, designers, retailers and anyone who wants to learn more about the benefits of the ARC curbless shower system and how to install it. You will learn how to increase your business and offer products that builders and homeowners want. Large format porcelain panels, also known as gauged porcelain tile, growing in popularity among architects and designers of both residential and commercial interiors and exteriors. If you spend a little time watching home improvement shows on TV you’ll see that this format is being introduced to the public and growing in awareness and demand. Early adopters of this new porcelain tile format are finding outstanding opportunities on both the sales and installation side of our industry. Join us in the morning, the afternoon or both as Fiandre Installation Specialist, Brenno Giannini presents how to sell and install large format porcelain panels from sizes 15″ x 30″ to 60″ x 120″. Innovation Workshop – Part 1 will introduce you to the world of Schluter®-Systems, and give you a solid overview of the applications where our products are most often used. We’ll talk a little bit about the history of our company, dive deeper into the science behind our technologies, explain how our product line has been designed to address specific challenges, and ultimately, guide you as you work with our products in a collaborative, hands-on workshop. 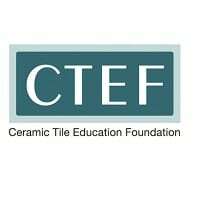 This 4-1/2 day course provides basic instruction of the TCNA Handbook and ANSI specifications along with actual hands-on experience in installing tile. It is ideal for someone who is seeking an entry level installer position with a tile contractor. This two-day course which takes place over 3 days focuses on proper installation of the shower pan, including common mistakes and causes of failure. It can easily be bundled with Understanding & Installing Ceramic Tile. This course focuses on properly installing a bathroom shower pan. This includes common mistakes and causes of tile installation failure. Attendees will individually construct their own traditional-type shower base and curb out of mortar, while following industry-accepted methods and requirements for waterproofing tile showers.